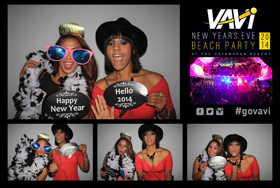 We love to take our photo booth to parties, and special events and we do it well! We have experience with photo booth rental for Birthday Parties, Quinceaneras, Bar Mitzvah, Bat Mitzvah, Reunions, Baby Showers, Rehearsal Dinners and Holiday Parties. 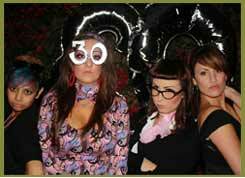 We offer a variety of photo booth rental packages for parties. Our party packages are all inclusive and make it easy to rent. Perfect for all types of celebrations. If you have a special theme please let us know we have a large selection of props and can usually work with you on providing themed props. We can customize the photo strip header. We also have a variety of photo strip options. The most popular photo strip options are the double instant prints 2″ x 6″ with 4 poses and a small custom area. The other popular print out is the 6″ x 4″ with 4 poses. 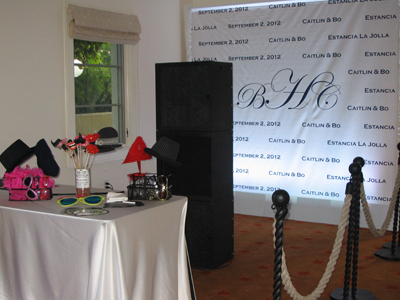 This photo strip has a larger area to customize.We have the traditional photo booth and also a open photo booth tower. With the open photo booth tower we can provide one of our photo backdrops or if you want to use your own photo booth backdrop we can bring our photo booth backdrop stand. For business and corporate parties please visit our Corporate Events page. Our photo booth tower is our most popular booth for home parties as well as indoor venue parties. 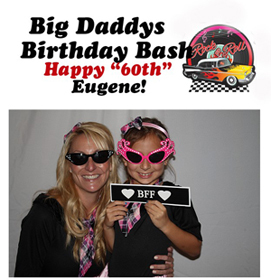 Call us to find out more or to reserve your photo booth – (760) 652-9730 or fill out an photo booth rental inquiry form. San Diego has a great selection of party venues. We have worked at some of the top clubs, the popular hotels and at private homes. Let us work for you!